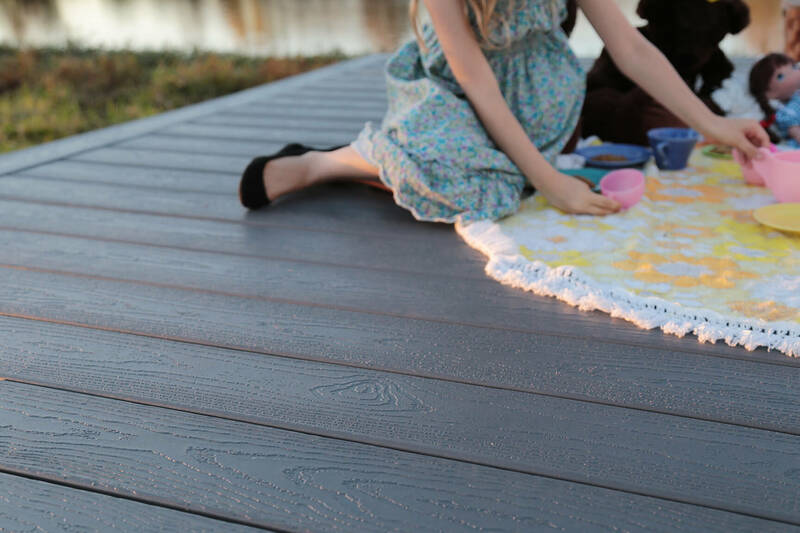 For the homeowner and family who want the luxury of composite decking, and aren’t ready to push the envelope like the coloring found in the Distinction and Inspiration lines then the definite, rich colors from Expression are what your home needs to make it your personal (and family) escape. 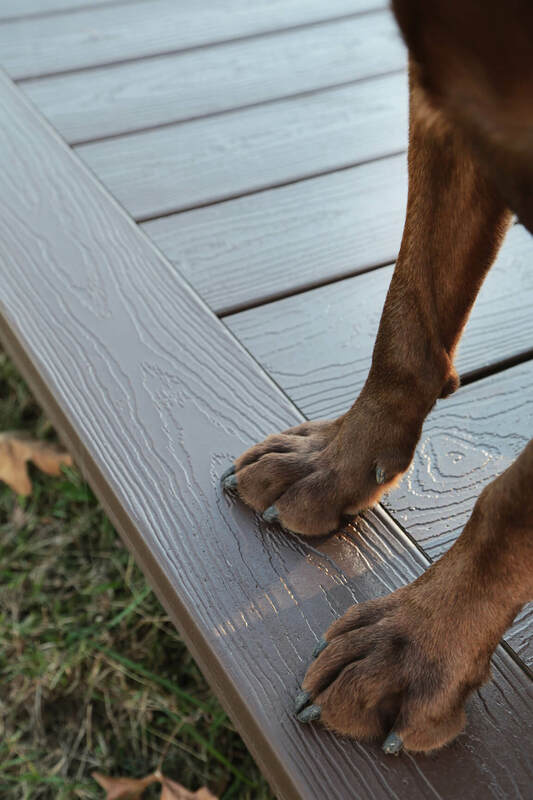 For additional information and a copy of the Limited Warranty and Arbitration Agreement, go to EnvisionDecking.com or call 1-800-641-4691. 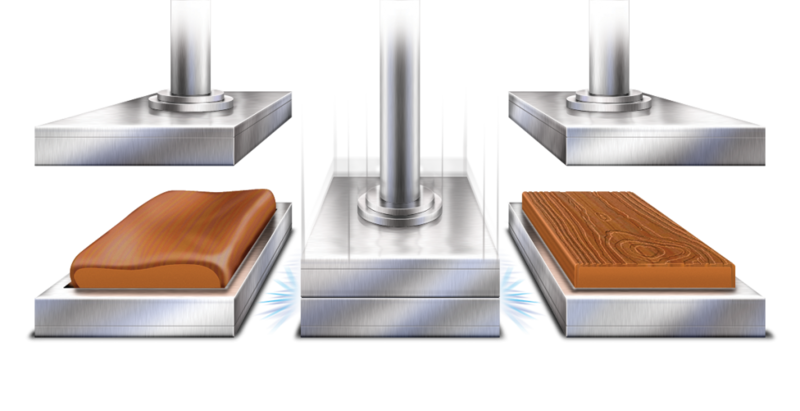 Compression Molding Process that uses tremendous heat and pressure to squeeze out air pockets to create the composite deck board. Unique grain patterns that never repeat across an entire board. Competitors’ extruded boards have an embossed grain pattern on the board surface. 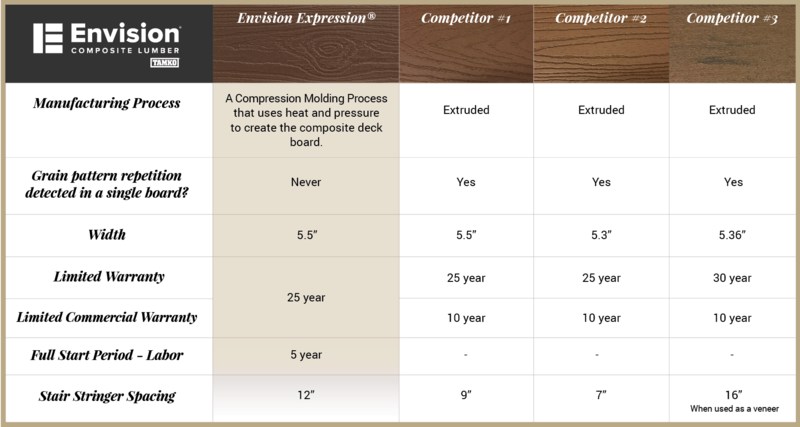 Envision® compresses its grains into the board to produce a unique natural wood-like appearance. 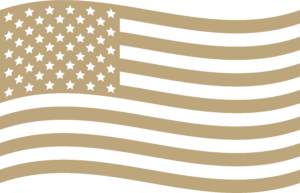 Envision®’s Limited Warranty for residential and commercial application is 25 years. Envision® also offers a 5 year labor full start period. 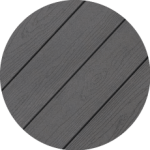 Featuring solid colors that mimic a natural wooden board, the Expression line provides a deep grain plank that doesn’t require the same hassle and upkeep as real wooden boards. With four one-of-a-kind color options, you’ll find something to match your unique sense of style. 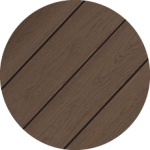 Choose from Canyon Ridge, Caribou Brown, Harbor Grey or Woodland Bark to take your deck from ordinary to extraordinary. Capture one of the most breathtaking elements in nature—the Grand Canyon—and bring it to life in your yard with Canyon Ridge, an awe-inspiring warm red, brown color. 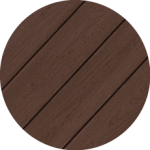 This dark brown color captures the sights and sounds of the range, bringing the essence of northlands to your backyard. Create a home retreat that embodies the slate greys of the pier and the feeling of a cool waterfront breeze with Harbor Grey. Capture the essence of gazing deeply into a grove of trees with Woodland Bark. 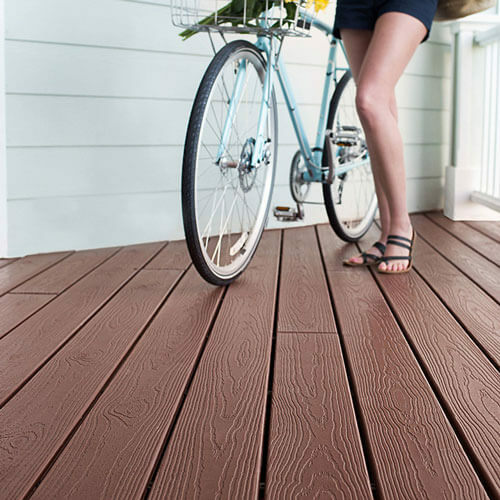 Our Envision Expression® Idea Gallery helps you create the ideal deck for your home. Let our Idea Gallery become your muse as you visualize the transformative effect of Envision® Decking in your home. When qualifying EverGrain and Envision Composite Lumber are purchased and installed on a Single Family or Townhome/Condo deck project, TAMKO will offer a per deck rebate. Earn cash back on EverGrain and Envision deck board purchases with the TAMKO Decking Dollars program. Distributed via check or direct deposit – the choice is yours. 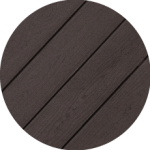 While Envision Expression® decking is an ideal option for enhancing the look of your home, these products are nonstructural. Envision® Composite Decking should not be used in a structural manner, including use as joists, load-bearing columns, stringers, or beams.